Earlier in the year we published an article about Carlin peas and Audrey from Lancashire decided she would have a go at growing some. Shortly after Easter she planted a few Carlins which she had purchased from the grocer to eat. The peas were planted in spring, just the same way as one would plant any other pea. The resultant 6 foot pea plants have just bloomed in the last week of June. 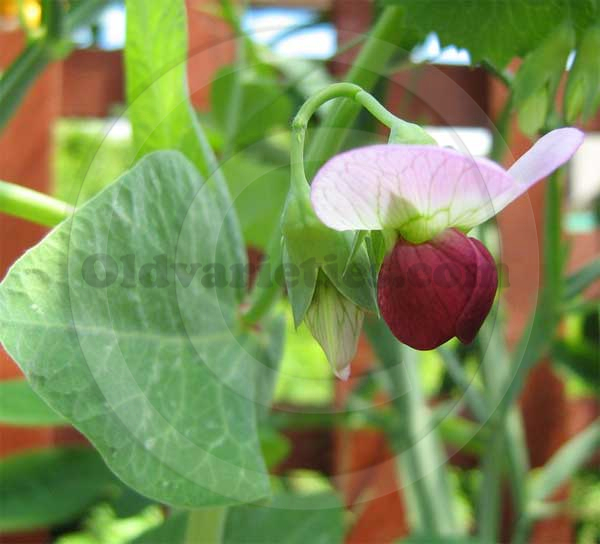 The Carlin pea flower is small and delicate, typical of the pea family, with a pale, almost translucent lilac upper (banner) petals and a rich wine or burgundy wings and keel. The opposing leaves of the Carlin plant are almost heart shaped, unlike the oval shape of cultivated peas. Deep veining is prominent in both the flower and the leaves. Much like sweet peas, the Carlin pea does require something to grow up, as these plants in Lancashire have currently reached around 6 feet or more.